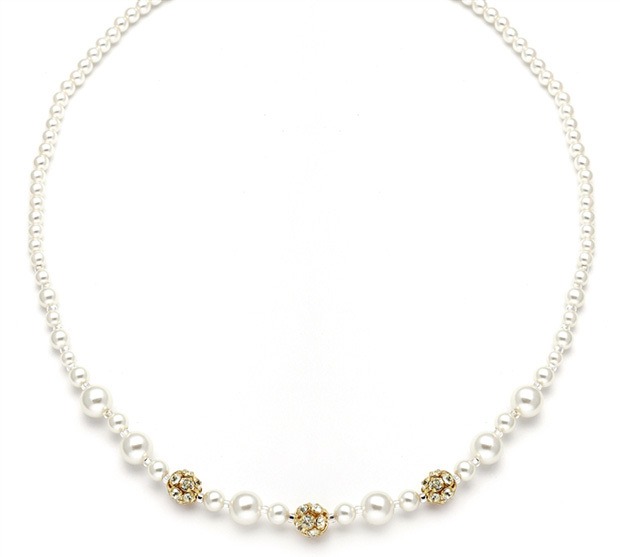 * Mariell's popular wholesale wedding necklace features a lovely blend of assorted sized pearls highlighted with shimmering Austrian crystal rhinestone fireballs. * This beautiful silver accented 16" necklace is hand-crafted in the USA. 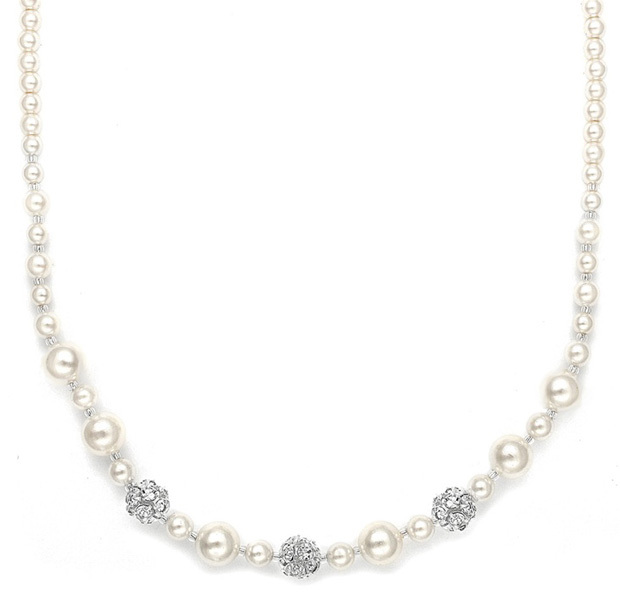 * The necklace is featured in soft bridal Ivory and is also available in White pearls. * This necklace has a best-selling matching bracelet style 1125B and pierced or clip earrings 1125E sold separately - all at low prices sure to make these instant favorites in your store's bridal jewelry collection!